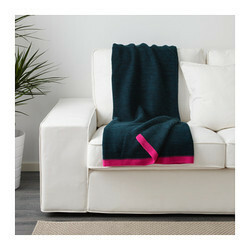 Original used by Masai as a cloth,made out of 100% Acrylic, The Shuka comes in a variety of colours. This is a multi purpose item and can be used as a Blankets, Throw over, Also is an accessory used in fashion for men and Women,Top designer has a range of shuka designs for 2012 Spring/Summer collection,can be used for craft making, making dresses,shorts, skirt,. or for your other personal use. This a wonderful cultural item. Made of 100% pure Acrylic or Cotton. It is worn by Masai Morans as an important attire that distinguishes them from the rest of the communities. This is an attractive garment you can use to identify with the Masai warrior Morans. You can also use it as a beautiful bedspread,table-spread during outdoor camping or safaris as well as cultural dressing during special occasions. 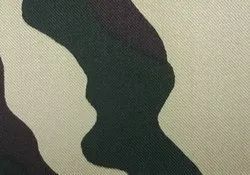 With the support of our highly skilled professionals, we are engrossed in providing a huge range of Camouflage Fabric. Our adept professionals make use of superior quality threads and modern technology to weave this fabric as per the set industry standards. As the name intends, offered fabric is widely used in designing of uniforms. Also, clients can avail this fabric from us in diverse sizes at pocket-friendly rates. We are betrothed in offering our clients a high quality assortment of Scarves. Offered scarves are crafted by using high grade fabric by our experts in compliance with international standards. Treasured for their high comfort, perfect finish, durability, colorfastness and soft texture, these scarves are strictly tested on various parameters. Clients can avail these scarves from us in different colors, patterns and designs as per their needs at cost effective price. We offer an exclusive range of Combat T-shirt for men that are designed in compliance. These t-shirts are known for their excellent sweat absorbing properties and flawless finish. 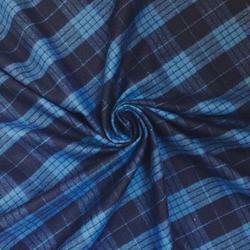 We are occupied in offering premium quality of Woollen Fabrics. We offer these fabrics in varied colors and prints in order to meet the variegated needs of our clients. In addition to this, the fabric we offer is widely appreciated by our clients for its excellent attributes such as skin-friendliness, colorfastness, and high tear strength. Trovin Premium Trouser Fabric for Men - Stylish and sophisticated, A fine clothing fabric. This high quality polyviscose suiting fabric features a Solid Self Design.Its lightweight Poly-Viscose (Polyester/Viscose) ,a versatile fabric makes it a perfect choice for Business Clothing, Trousers, Formal Wear, Party Wear, Casual and Evening wear. This fabric has a Soft Touch finish to it, making it feel like a very high-end fabric. This fabric is slightly absorbant, and is great for perspiration, making it feel even better on skin. 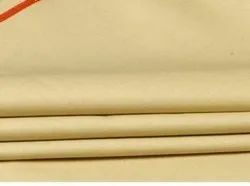 This Pant Fabric is good for all Indian Seasons - Summer Wear, Spring Wear, Winter Wear or Autumn Wear. 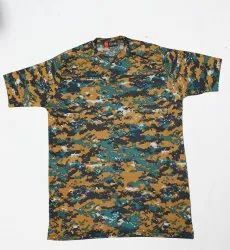 In the year 1997, Pooja Industries Private Limited took up its first step in the fashion industry as manufacturer and exporter of Acrylic Fabric, Army Uniform Fabric, Cashmilon Fabric and much more are known for their perfect finish, attractive look, and intricate designs. 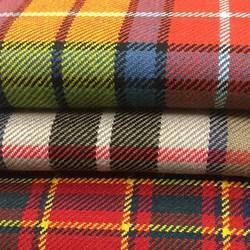 We derive great pleasure in developing quality as well as fabric pattern as per requirements of our buyers. We have small lot size dyeing machines for yarn and fabric dyeing. Nominal changes are changed for sampling. We excel in setting up the new style in this domain of by providing easy payment modes, prompt delivery and competitive price which keeps us moving ahead in this era of stiff market competition. As a quality destined organization, our sole mission is to produce high-quality garments, which meets the demand of prevailing market trends. Backed by robust infrastructural base and team of highly diligent professionals we are committed to providing maximum benefits and value to our clients. Our business policies are inclined towards integrity and ethical values, wherein we ensure to carry each job work under the strict guidelines of international standards. All these have helped us to expand the market in a larger domain, having gained the trust of customers.